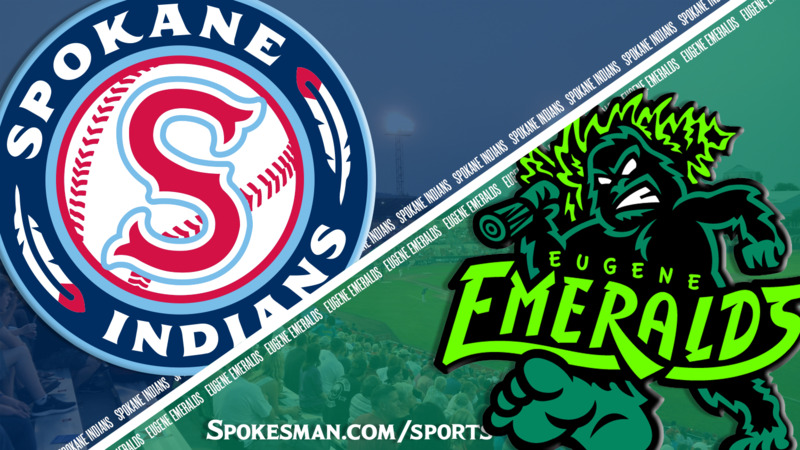 EUGENE – The Eugene Emeralds generated just six hits off Spokane Indians pitchers Friday. But one of those hits generated four runs. Jonathan Sierra’s grand slam in the fourth inning ignited the Emeralds to a 6-1 victory over Spokane in the middle game of a five-game Northwest League series at PK Park. Eugene leads the series 2-1, but the Indians lead the season series 5-3. Spokane led 1-0 – courtesy of Starling Joseph’s leadoff homer in the third – when Sierra connected off Scott Engler (2-4) for his third homer of the season. Engler hit one batter and walked two before surrendering the slam with one out. Eugene added runs in the fifth and sixth on sacrifice flies by Andy Weber and Eric Gonzalez. Eugene relievers Cam Sanders, Eugenio Palma (3-1) and Sean Barry checked the Indians on two hits over the final five innings. The outcome dropped the Indians into a first-place tie in the North Division second-half standings with Everett and Vancouver. All three are 6-5, one game ahead of Tri-City. Eugene, of the South Division, is 5-6 in the second half. After the series ends, NWL All-Stars will meet their Pioneer League counterparts Tuesday in Grand Junction, Colorado. Published: Aug. 3, 2018, 10:31 p.m.